Albert E. Acuña, Esq. primarily focuses on Community Association Law (Condominium and Homeowners’ Association) where he works closely with the Board of Directors and its Management in order to ensure all of the Association’s objectives are realized and that the Association is complaint with Chapter 718/720, Florida Statues and its Governing Documents, while doing so in an efficient and economic manner. In addition, Mr. Acuña vigilantly supervises all collections and foreclosure matters for the Association in order to create a positive cash flow for the communities he serves. In the case of any litigation related matters, Mr. Acuña vigorously defends or aggressively prosecutes any litigation matters on behalf of the Association, including, but not limited to the enforcement of the Association’s governing documents, documentary issues, turn-over, breach of contract claims, and construction related claims. Mr. Acuña also handles commercial and real estate litigation matters, and assists clients with business/corporate matters, including but not limited to the formation of any appropriate business entity and any partnership disputes. As a former prosecutor who litigated thousands of criminal cases, Mr. Acuña offers clients their constitutionally protected right to a criminal defense. Mr. Acuña earned his Juris Doctorate from the University of Florida Levin College of Law in 2001 and is a member of the Florida Bar and is admitted to the U.S. District Court, Southern and Middle District of Florida. Mr. Acuña and also successfully litigated on numerous occasions before Florida’s Third District Court of Appeals n Community Association Law, Criminal Law, and Commercial issues. Mr. Acuña was recognized as a "Rising Star" by Florida Super Lawyers in 2014. Only 2.5 percent of Florida attorneys receive this honor each year. Rising Stars are chosen by their peers as being amongst the top up-and-coming lawyers (40 years or younger, or in practice 10 years or less) in the state. 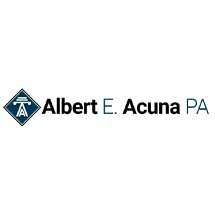 Mr. Acuña is confident the level of service and loyalty he will provide his prospective clients will be unsurpassed, and looks forward to meeting with you with regard to your legal concerns or needs.